Ripple’s XRP seems to be making waves in the news on a day to day basis this year and today is no different. The native token to Ripple has achieved another landmark in its journey to mainstream adoption. The cryptocurrency is now fully integrated with the Woocommerce online market giant. The asset gained this through a bounty program by the founder of XRPL Labs, Wietse Wind. 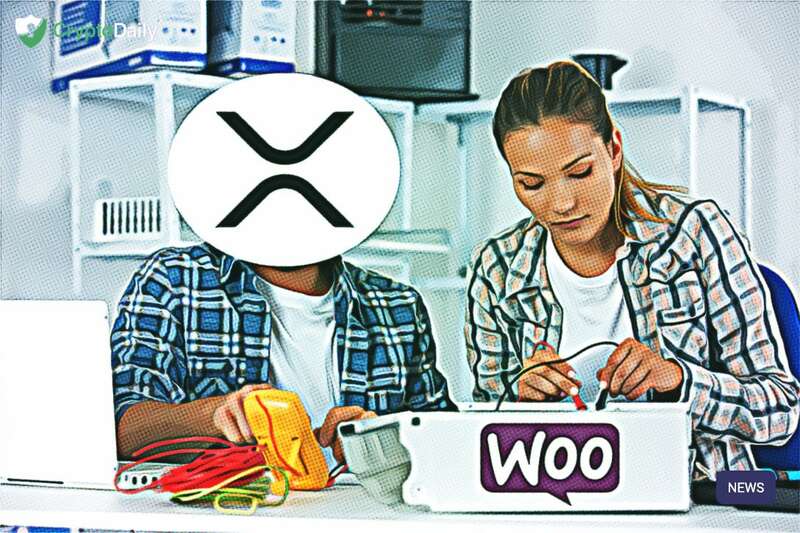 Last week, the announcement came that Wind was offering more than $900 in XRP as a prize to anyone who could implement the token to Woocommerce which powers more than three million online stores across the globe. Today, the challenge seems to have been completed as XRP is potentially witnessing adoption by more than 3 million users overnight. Although it is currently unknown as to who actually integration the crypto with the platform, this is great for adoption. Wind’s XRPL Labs is making some big contributions in the promotion of cryptocurrency especially when it comes to Ripple’s native token. Aside from the integration that Winds has just achieved, XRPL Labs is also going to be working on launching a decentralised exchange in a similar light to that of Binance. XRP has been contributing to supporting projects executed by Winds that mostly revolve around the digital asset. The XRP Tip Bot is now a popular bot for sending tips on social media. In fact, Ripple has gained a lot of traction in making the most developments in the space recently. The cryptocurrency was recently added onto the Coinbase Pro platform and despite the backlash, XRP is still rocking on, on Coinbase. Back to Woocommerce. The integration of XRP on the online store is probably going to go down as one of the biggest achievements that XRP has made in recent years. Millions of users are going to see XRP and, fingers crossed, they start to use it which will lead to adoption. When it comes to price the market seems to be doing well at the moment. Bitcoin has finally breached the $4,000 key resistance level and XRP is currently priced at $0.31 after experiencing a 0.49 percent increase over the past 24 hours.